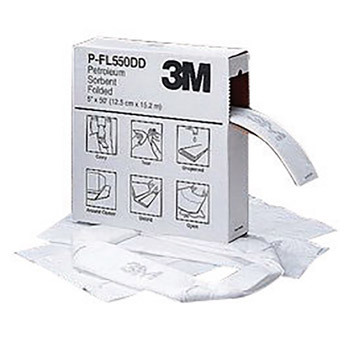 3M Petrolem Sorbent is four sorbents in one. It can be used as a boom, pillow, pad, or roll, which means fewer products need to be stocked to meet your sorbent needs. The folded sorbent is perforated every 16 inches to allow you to select the length required, so theres less waste. Brady SPC Oil Plus Sorbent Roll Dimpled & Perforated - 30" X 150' (1 Per Bag) Brady USA MS-124 SPC 3" X 12' Re-Form Multiwik SOCs Brady USA ENV150 SPC ENV Oil Sorbent Roll - 30" x 150' Brady BRDRFP328-DP 28 1/2" X 150' SPC Re-Form Plus Gray Double Perforated Medium Weight Sorbent Roll, Perforated Every 19"